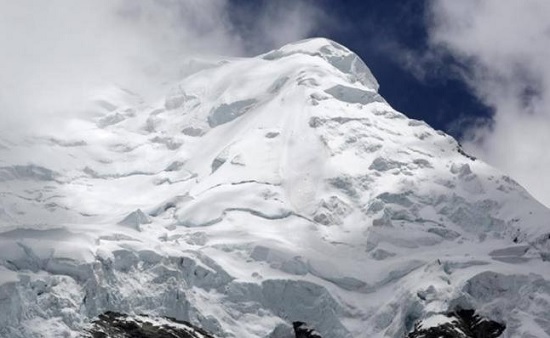 Peru searchers recover bodies of 2 climbers hit by avalanche, one is Mexican. Peruvian mountain police official William Encinas said the bodies of one of the Mexican climbers and one of the Peruvians were found Thursday July 21 and searchers were still looking for the other two. Searchers on Thursday July 21 recovered the bodies of two of four mountaineers who were on an expedition that was hit by an avalanche on Peru’s tallest peak this week. The slide swept away the two Mexican and two Peruvian alpinists on Huascaran mountain Tuesday July 19, after they had reached an altitude of almost 6,000 meters (20,000 feet). Four other members of the “Chihuahua” Mexican-led expedition were rescued by a group of Austrian climbers who were in the area at the time, authorities said. Rising in Peru’s snow- and ice-covered Cordillera Blanca, the highest tropical mountain range in the world, Huascaran is a major tourist attraction for climbers and hiking enthusiasts.